Mobile Suit Gundam is an anime juggernaut that has been around since 1979. Throughout its 38 year history, it has had its fair share of ups and downs, some great series, some good series, and some not so great series. But to the curious anime fan whose never jumped into Gundam before, the staggering amount of shows under the Gundam name can be intimidating to say the least, and that isn’t even getting into the fact that a large chunk of these series are not related to one another outside of the inclusion of mobile suits and powerful mecha called Gundams. Today, I plan to go over each and every timeline in the Gundam metaverse. I know that many articles such as this have been done before, but since a new Gundam series comes out almost every year and at this point is 75% guaranteed to spawn a new timeline, it practically needs to be updated continuously. There’s also some false information out there on the internet(Gasp!) pertaining to the Regild Century and Correct Century timelines relations so I also intend to clear that up when I get to it further in the article. So let us begin! The most expansive Gundam timeline and the very first, the Universal Century is a period of time where humanity has begun to colonize space using gigantic orbital space colonies collectively referred to as Sides. In the year U.C. 0079, Side 3 names itself the Principality of Zeon and declares war on the Earth Federation in the name of independence. The war lasts one year before ending with Zeon’s defeat. This marks the beginning of the Universal Century’s biggest story arc: the rivalry between Gundam pilot Amuro Ray and Char Aznable the Red Comet of Zeon, a rivalry that lasts 14 years and survives 3 years after its supposed end(Gundam: The Origin all the way up to Gundam Unicorn. F91, Victory, G-Saviour, and Twilight Axis are mostly unrelated and are self-contained narratives for the most part. 08th MS Team, Thunderbolt, 0080, and 0083 are side stories.). The black sheep of the franchise due to it being a super robot show rather than real robot, the lone series of this timeline, G Gundam, takes place in the Future Century where the wealthy have fled Earth on large space colonies and hold a martial arts tournament once every five years to determine the ruler of the Earth Sphere. Rather than have fighters duke it out hand to hand, each fighter is given a Gundam which can replicate their movements exactly. Due to the constant fighting, much of the Earth has been laid to waste. Fun facts: The “G” in Mobile Fighter G Gundam’s title stands for “God”, a meaning which is lost in the North American localization due to the fact that Walmart wouldn’t carry the model kits due to religious references. As such, the titular God Gundam had its name changed to Burning Gundam and its evil counterpart, the Devil Gundam and its Devil Army, were changed to Dark Gundam and Dark Army. The show is also heavily offensive to just about everyone that isn’t Japanese. Depending on how sensitive you are, this show can either be very humorous or, well, offensive. Every Gundam is a stereotype of the country it represents. Potentially the best example of this is Neo Mexico’s Sombrero Gundam(Tequila Gundam in Japan) which wears a sombrero, has a cactus for shoulder plating, and wears a matador’s cape. Then there’s Neo Holland’s Nether Gundam(Hurricane Gundam in English) which is a giant windmill, and Neo France’s mobile suit looks like Napolean. And of course Neo Germany’s Spiegel Gundam looks like a Nazi. The After Colony timeline is home to Mobile Suit Gundam Wing, the series that spawned a new generation of Gundam fans in the West. In this timeline, the space colonies plan to rebel and conquer the Earth, a plan which is referred to as Operation Meteor. As part of this plan, five Gundams are constructed and sent down to Earth to cause chaos and no other directive. In this timeline, many wars have been fought between the Earth and the space colonies. During the Seventh Space War, the Earth developed mobiles suits known as Gundams which had immense destructive powers and harnessed the powers of evolved humans known as Newtypes. The loss of life caused by these weapons was immense, and the colonies retaliated by dropping dozens, if not hundred of colonies onto the Earth, devastating it and bringing an end to the Seventh Space War. In the wake of the destruction, humanity begins to pick up the pieces and rebuild what little they can and attempt to survive. However, another war looms on the horizon. In the Cosmic Era, designer genetics are a reality. Using artificial wombs, the first artificially evolved human beings, dubbed Coordinators, were created. The Coordinators mostly live in space in orbital space colonies collectively referred to as the PLANT’s. After tensions brew between the Naturals(Unaltered humans) of Earth and the Coordinator colonists, a nuke destroys the colony of Junius Seven, sparking all out war between the two races. Unlike other timelines which deviate from the current real world calendar, usually after humanity has moved into space, this one retains the Anno Domini calendar. It’s characterized by humanity’s constant fighting and squandering of the Earths limited resources. This prompts three economic blocs to be formed with an orbital elevator at their center, granting them unlimited solar energy. Despite these advances, the nations of the world are still rife with conflict and hatred. As a result, the wars continue for the benefit of those with power. Side Note: Most Gundam series, as I stated, deviate from our current timeline when we colonize space, while this one remains in Anno Domini. This is not only because space colonization is less of a reality and more of a dream, but also because this is the more likely scenario should humanity develop mobile suits and never move past our gravity bound feuds. In essence, it’s more like an eventual future rather than a theoretical one. In the future of the Advanced Generation era, humanity has colonized the space surrounding Earth and lives a peaceful existence. However, unknown enemies from beyond the Earth Sphere attack, destroying colony after colony and killing hundreds of thousands. With more advanced technology, the U.E. is nigh unstoppable. The war begins to drag out until the last remaining member of the Asuno family inherits his families legacy and constructs a mobile suit known as a Gundam, a machine capable of countering the U.E. and turning the tide of the war. Prior to the changing of the calendar, an event known as the Calamity War occurred where 72 machines known as Gundams were created to fight against the unstoppable hordes of unmanned mobile armors which moved from human settlement to human settlement with the singular goal of wiping out all of humanity. The power of the Gundams ended the war, but a large chunk of the human population was lost and the technology to produce Gundams and other technologies was lost. Three hundred years later, economic conditions on Mars continue to worsen and the people cry out for independence from the Earth. The governing force, Gjallarhorn, decides to step in and put out the fire before it can spread. Set in the far distant future, the Correct Century began after an event known as the Black History occurred. The Black History was a time of great conflict, one that managed to pull all of the disparate Gundam timelines together. At some point after this, the world was devastated, burying the past beneath the soil. While some humans remained on Earth and slowly rebuilt civilization over the course of 2300 years, many colonized the moon and turned it into a utopia. Now they seek to return to the Earth, but those that were left behind are not keen on letting the Moonrace return unopposed. Side Note: The Correct Century has been officially stated to include every timeline up to Gundam SEED’s Cosmic Era, however, due to the nature of the Black History, it is entirely possible that timelines created after Turn A’s conception(As SEED is one of them.) are automatically folded into that. Despite the Correct Century containing the lost technology of all other timelines, nothing other than mobile suits and technology from the Universal Century, which is the timeline that the Correct Century is directly connected too, are featured in the show. Up until recently, Turn A Gundam was the definitive end of all Gundam timelines. Set in the distant future of the Universal Century, technology from that era has become taboo and the Earths source of power, Photon Batteries, are monopolized by the Capital Territory who possess the only means of obtaining Photon Batteries so that they may be distributed to the other nations of the world. The ban on the advancement of technology is so that humanity will not repeat the mistakes of the past where technological advancement led to more destructive warfare. In response to a perceived threat from outer space, the country of Ameria manages to acquire blueprints known as the Rose of Hermes and a prototype mobile suit christened the G-Self. This leads to a technological arms race to build an army capable of defending the Earth from this perceived threat, even if it means violating the taboo. Side Note: As I mentioned earlier, Turn A Gundam and the Correct Century it occurs in were originally the de facto end of all Gundam timelines, with all timelines converging during the Black History. However, G-Reco retcons that bit, being the first Gundam series to succeed Turn A Gundam in the timeline. At first it was believed that G-Reco took place after the Universal Century and before the Correct Century, however, official statements from series creator Yoshiyuki Tomino have clarified that G-Reco takes places 500 to 1000 years after Turn A Gundam(The definitive amount of time between Turn A and G-Reco is up for debate. Tomino at first states in the interview that it is 500 years later, however the current year as of the events of G-Reco is R.G. 1014, meaning the calendar began 1000 years prior. Later in the interview Tomino states that he wanted to set it a thousand years in the future so that it would not be beholden to Turn A. So it is probably more correct to say that G-Reco takes place 1000 years after Turn A. ), thus allowing future Gundam series to take place post-Turn A now that the Correct Century is no longer the end cap of all Gundam series. While no specific timeline is actually named, it is most likely set in the Anno Domini timeline because this is supposed to be our world, except where Gundam has blown up in popularity(And considering the age of some characters like Ricardo Felini who grew up before Gunpla Battles became real, it can be surmised that all of this came about after the release of Gundam Wing and/or Gundam SEED. in the 1990's/early 2000's, placing the shows setting as the mid to late 2010's/2020's.) and spawned worldwide Gunpla Battle tournaments. This is made possible by the discovery of the plavsky particle, a particle that is capable of bring gunpla models to life and creating virtual battlefield, even going so far as to simulate destruction and varying degrees of gravity. Side Note: It was stated by the shows creator that the world of Build Fighters is a place where the dead pilots from the other Gundam timelines go to live in peace. This was originally a fan theory after fans noticed how many past characters had cameos in the show, even if their appearances differed slightly. And that wraps it up. It probably isn’t the greatest write-up, but hopefully it helps some of you find a good place to start with the Gundam series. 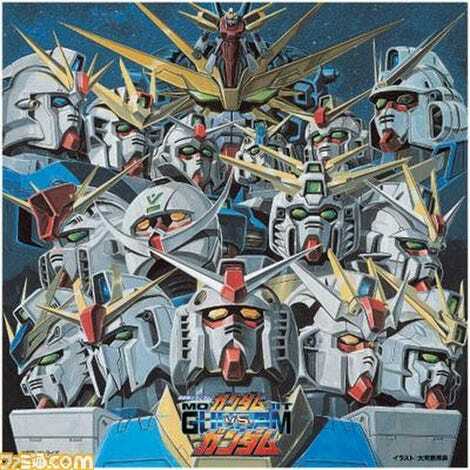 Persronally I recommend starting with Gundam 0079 since it’s the oldest. It can be jarring to go back to once you’ve moved to the newer entries and so starting with it is probably the best if you can handle the dated art and animation. If you can’t sit through 43 episodes then watch the compilation films. Having said that, don’t watch the compilation films dub, it’s terrible and wasn’t even included on the recent blu-ray re-release.